If you want to run barefoot or with a minimalist shoe, do your homework and gear up gradually. 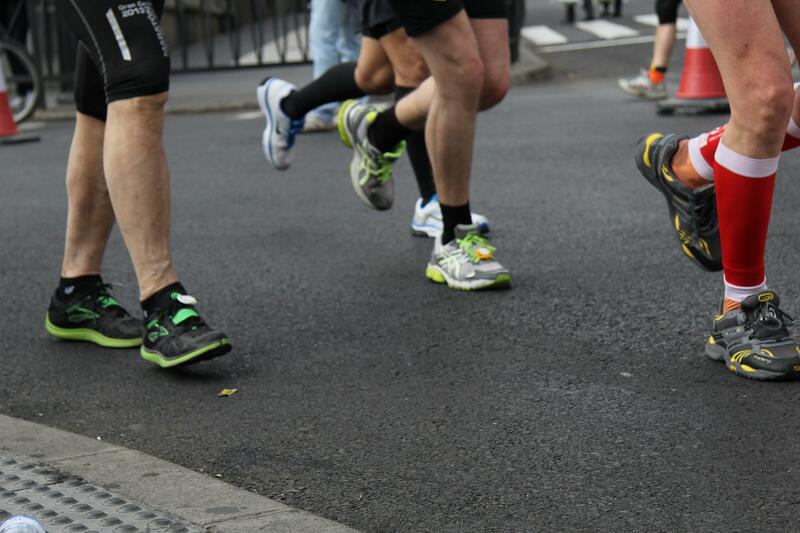 Chances are may have tried running barefoot or at least in a minimalist shoe. The latest trend is less is better. By removing (or greatly reducing) the traditional foam-cushioned outsole, a minimalist shoe can complement the natural function of the human foot, preventing injuries. Ferber hypothesizes barefoot runners may have fewer knee and hip injuries, but more cases of plantar fasciitis, Achilles tendinopathy, and metatarsal stress fractures. Taking the time to transition from a cushioned shoe to a minimalist design requires patience. Going too hard, too soon can have negative consequences and result in injury. East coast running shoe guru Luke MacDonald believes “the running industry is based upon people’s lack of ability to self-regulate.” Some “experts” recommend a minimum of four weeks to allow your body to adapt before tossing your old shoes aside, while others suggest a full year of progressive training. Chris Murphy, half-marathoner and sport physiotherapist, advises adequate warm-up and cool-down sessions for each run, with specific strengthening and stretching exercises suited for the individual. Jeffery Zahavich, MScK, CSEP-Certified Exercise Physiologist.